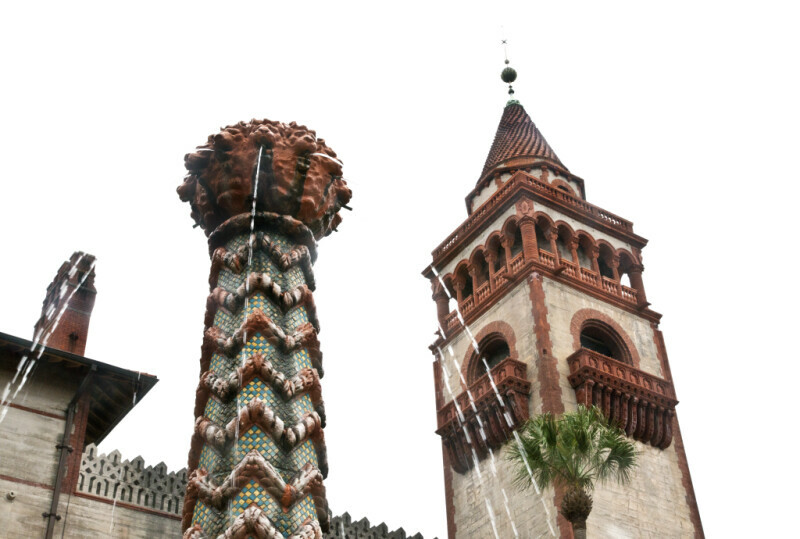 This is the central column of a fountain, in the courtyard of the Hotel Ponce de Leon. There is a terracotta sphere at the top of the column. One of the hotel's tall, square towers can be seen, in the background.